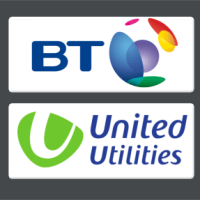 We install traditional tube and fitting scaffolds and heavy lifting gantries. New and second hand equipment sales. We provide free of charge quotations and welcome all enquiries. We endeavour to provide a professional and prompt service. We are also C.I.S.R.S Certified - The Construction Industry Scaffolders Record Scheme (CISRS) has been the industry recognised scaffold training scheme for over 30 years. It is the preferred scaffolding qualification of all the major organisations. All our staff are Confined Space Trained and we are fully insured. N.A.S.C. 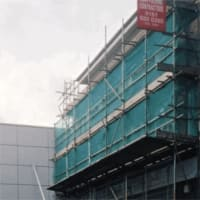 - The NASC is recognised as the national trade body for access and scaffolding in the UK. They produce a wide range of industry guidance for scaffolding contractors, their operatives and their clients. What a fantastic company! I needed scaffolding to do the pointing, painting and repairs to the front of my house and bay. I phoned A1 Broadhurst Scaffolding and was greeted by a delightful receptionist who made arrangements for an expert advisor to visit the property. 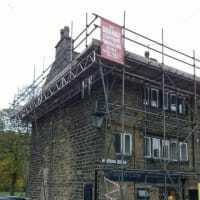 After the visit I received a very fair quote and agreed a time for the scaffolding to be erected. The lads who turned up were friendly, courteous and hard working. 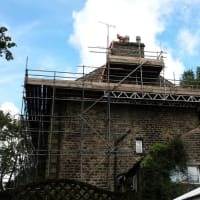 The erected scaffolding was above and beyond my expectations, good fixed metal ladders, very sturdy construction and a safety gate, I felt very safe and was able to complete all my jobs. 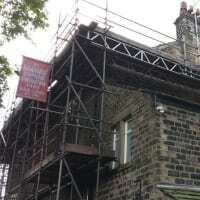 This is the first time I have ordered scaffolding to use myself and was very pleased with the service and communication. 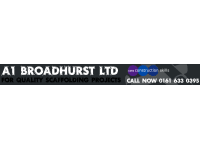 I found the whole experience hassle free and would thoroughly recommend A1 Broadhurst Scaffolding to anyone!